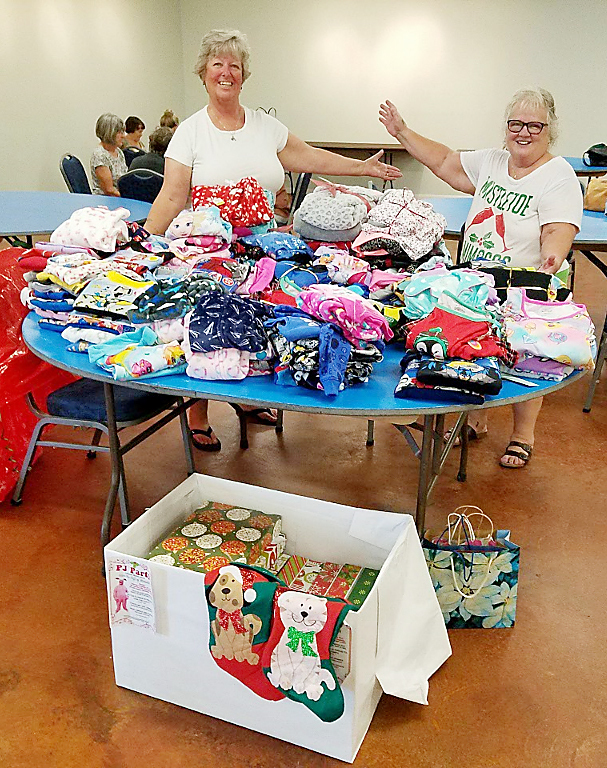 What began as a small idea for a charity pajama party by two South Padre Island women soon resulted in a pajama drive that netted over 200 pairs of pajamas for local families. It all started with Kris Martinaitis, a Winter Texan from Illinois, who got the idea from a post on the website, Pinterest. She then approached her friend, Island resident Sally Scaman, putting forth the idea to hold a pajama party at one location on the Island. “Let’s go big if we’re going to do it at all!” Scaman replied. The two ladies kicked off their pajama drive at City Hall on Friday, Nov. 17. City employees were allowed to come to work in their PJs as long as they donated a pair of new PJs for families in need. Scaman said it took off from there.